As plumbing and heating contractors, our team at Keating Plumbing & Heating of Weyburn has experience with a variety of systems for homes and new constructions. With affordable and fair pricing, plus a great Energy Star rating, our plumbers and technicians can get any job completed up to your requirements. We are located in Weyburn and serve many of the surrounding areas. If you would like to learn more about the services and products below, be sure to contact us today. Our plumbing contractors in Weyburn are ready to assist you with repair, installation or maintenance. We are the company to trust when it comes to getting the plumbing done right during new construction. Our plumbers are here for you and offer fair pricing so your project gets done on time and under budget. We are water heater dealers for Weyburn. We can sell you a great water heater and install it for you with precision so you know it will stay functional for all long as you need it. We can also maintain and repair your water heater, including anode replacement. For fair pricing on heating services, contact Keating Plumbing & Heating today. We offer a wide variety of heating services include installation, repairs, and maintenance. 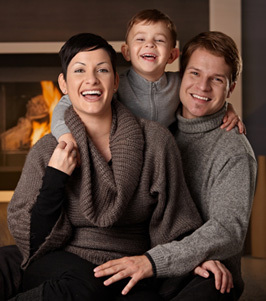 We are experts at taking care of furnaces. We can install energy star, high efficiency furnaces in your home. In a new construction we can install radiant heat. We can also install sheet metal, gas fireplaces, unit heaters for garages, shop heaters, gas fittings, and more. We have a track record of success in repairing and replacing furnaces and heaters throughout Weyburn, so call our heating contractors today. Keating Plumbing & Heating also provides air conditioning repair, replacement, maintenance, and installation. We can repair any unit, or replace your unit with an energy star product that will save you money on your bills and protect the environment. We offer affordable terms on all of our services so you can save money now and continue to save thanks to our skilled air conditioning technicians. We are experts as installing and repairing gas lines in Weyburn. When working with natural gas, you need a company you can trust to get the job done right. We only employ experienced contractors for gas tubing work for grills, furnaces, heaters, kitchen appliances, and more. Whatever your gas line needs, Keating Plumbing and heat will make sure that you are taken care of with fair pricing. Call us today!